Drawings predominantly of Italy; also of Malta, Austria, France, Greece and the Suez Canal. 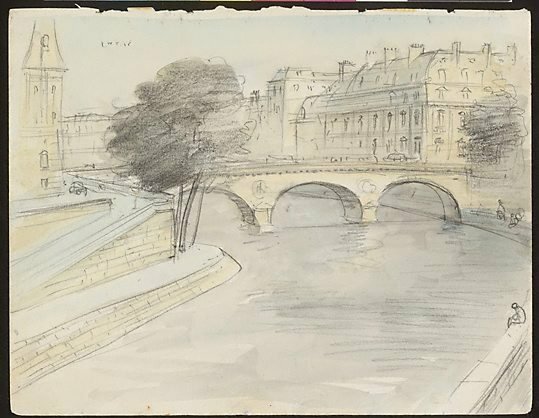 One drawing of Pont St.-Michel from this sketchbook is detached. It is from between pp. 28 and 29. Signed and dated l.r. on part dd [page 59], pencil "L. REES/ 59". Signed lower c. on front cover, blue ball-point pen "L.F. REES/ ...".